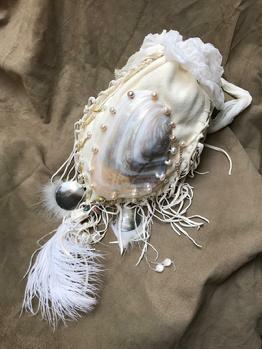 Hand laced and embellished with fresh water pearls, rhinestones, ostrich feather tassel, and gathered up with a silk chiffon pleated strap, this purse is made of a velvety white deer suede. The ocean's treasure Mother of Pearl laced shell is surrounded by pearl coins. 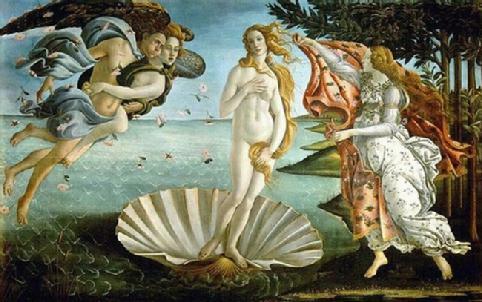 Each one an original, may be ordered in colors from the palette of the Bottecelli's painting.